So the lay-off was good news. Absolutely. I mean it wasn’t [makes face]–because great, I’m leaving my husband, I have to move and pay all the bills…but once I got over the initial shock, I thought no, this is good because I can really leave it all behind and get back to the things that feed me on a creative and emotional level. So that was really the culminating point. I said I’m going to move back to New York and figure it all out, one day at a time. And that’s the thing as an actor: it’s really important is to listen to your instincts and follow your impulses and let things happen as they happen as opposed to thinking ahead too much. I tend to overthink. Absolutely. It’s a loose plan. Sometimes my plan is day-to-day or week-to-week. And that’s OK. I’ve been learning to let go of this idea that I have to have a straight path. My path has never been straight. Lots of loops and turns and detours…yeah, I’ve taken a lot of detours! [Laughs]. And they’re generally not dead ends which is a good thing. It’s just getting me to the next place. It took a little while longer but something happened which was valuable along the way. Do you get any flak from people who don’t understand why you don’t just take the straight path? I’m fortunate that my parents are both creative people, they have backgrounds in theater, and they directed tons of plays. I grew up going to rehearsals with my parents from the time I was five years old. We just thought we were so special, my brother and me; it was like, Yay, we get to go with Dad to rehearsal today! My parents took us to Broadway from age five or six; they really immersed us in a lot of art and culture. So they understand my need to be creative, I think they knew it from the time I was small that I wasn’t going to be like other people. My mom always said to me–she was an English teacher: “To thine own self be true”. They still worry though…and I’m like you know what? I’ve been really happy in my life since I moved on. I haven’t been sick. That was my next question. It sounds like you didn’t even look back. You’re not second-guessing. No, why would I? I am so happy. [Laughs] Just happy to be alive every day and to have met so many wonderful people in this past year and to get back to the things that make me tick. You can always find a way to make money; there are ways. Not everybody needs to have the same direction. The world would be really boring if that were the case. When people have a problem with the path they’ve chosen, I think it comes more from fear than from anything else. People think they have to take a certain path or a straight line. People sometimes say: “What are you doing with your life? What do you mean, you don’t have a real job?” I do have a real job! My life is my job! Alot of people say to me, “Oh I wish I could be an artist but I just can’t…what would my mom say, or what about my car payments?” There’s always something holding them back, but it’s not them. It’s their mom or their car. It’s a fear of the unknown. “What’s going to happen if I do this?” Well, what’s going to happen if you don’t? Then you end up living a life, or what I consider half a life–you’re existing and you’re doing your things day to day but is that really your purpose? You know what, what’s the worst that could happen? [Shrugs] You go back and you do what you were doing before. But at least you tried. At least you gave yourself the opportunity to see what the possibilities are. 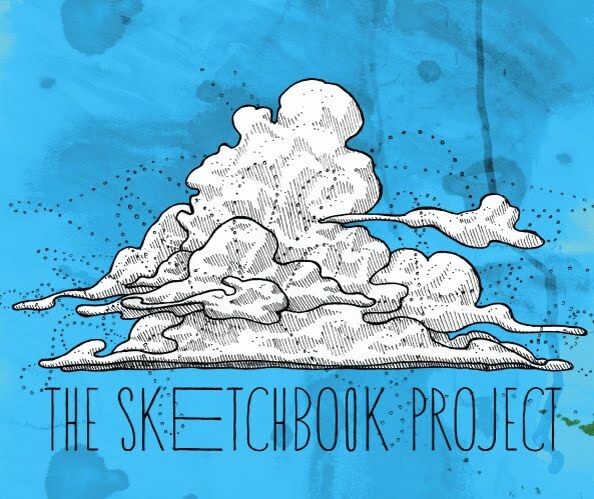 What were some things you had to do in order to re-enter the creative world? I’d been out of the loop for so long–I didn’t have headshots anymore, my resume was kind of old–[exasperated whooshing noise], what am I going to do? Well, I had a photographer friend who said “Hey, I have some new camera lenses I want to play around with, why don’t you come down to my studio and I’ll take some pictures of you so I can practice”. So that worked out, now I have that piece in place. What do I need to do next? I have another friend from high school and we reconnected, and he said “Oh, do you know about Central Casting? We should go one day and get in the registry and then we can at least do some background work”. OK great. So that happened. I did a little Law & Order. I really firmly believe that everything happens for a reason and that it all works out. You already know this because you’re my friend, but a conversation we had a few weeks ago gave me a kick and made me ask myself some big questions. I decided to leave a really unhappy job that I’ve had that I was afraid to leave–going back to that fear thing. I’m not second-guessing it, but I guess I’m looking for tips! First, always have faith in yourself and the choice that you made, that it was the right choice. It‘s taking a leap of faith and investing in yourself. Sometimes I get really overanxious and worried about what’s happening, and what’s the next thing, am I going to be OK next week or next month. I have to pull myself back, take some deep breaths. We have things that are in our control and things that are out of our control. This is my advice: remember the things that you can control. You have control over what you do on a daily basis and as long as you’re doing something every day to work toward whatever your goal is, then you’re going in the right direction. You have to trust in your ability to be open. I think more people need to be open. We get closed off to so many opportunities because we’re afraid…you definitely couldn’t have moved forward because you were stuck. It drains your energy and you don’t have the focus and energy you need for your creative pursuits. I’ve noticed that. My time is exactly the same because I’m still at my job for now, but more ideas come to me now. It was like a drain got unclogged. Like at my corporate job, I was running somebody else’s business which ultimately was running me. I didn’t have time or energy for anything else. You’re in the job for the health insurance or the paycheck every two weeks and it ends up being counter-productive. I love having something different to do every day now. One of my friends said: “God bless, because I couldn’t do it. I need to know what I’m doing every day and at what time”. Some days I’m just reconfiguring my website or sending emails or doing technical or administrative stuff, but it’s all on my terms. Part of being able to make a leap back into a creative life is being self-aware and knowing that this [pointing for emphasis] isn’t working anymore, this isn’t where I’m supposed to be. Yeah, but that’s why I did it, I said this is so far from what I’ve done, it’ll just be fun, it’ll be an experience. See what happens. It was me being open. And then that led to so many other wonderful things: joining the Michael Chekhov Theatre Company, meeting Mia and then you through Mia…I got the chance to do Shakespeare and Oscar Wilde, some original plays…. sometimes we need to stop and look at what has happened and do a little backtracking to reaffirm that Yes, I am on the right path. Because this happened, and as a result this happened [making rolling gestures], and then this happened, and then this, and it’s all forward momentum. Please read more about Liz on her website–there are more wonderful things there that she was too humble to mention during the interview–and feel free to contact her through www.lizdebetta.com. 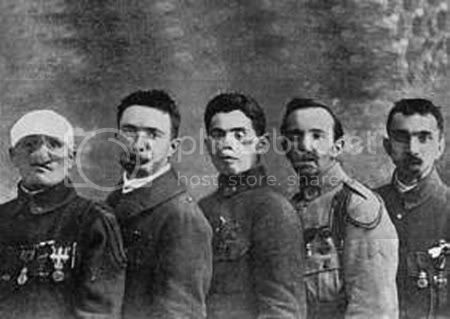 We begin in 1918, at the end of the first World War, with 15 million people dead and another 20 million wounded. This destruction was made possible by the debut of weapons of mass destruction such as mustard gas. And yet, many soldiers survived what would once have been mortal injuries because of simultaneous advances in medical technology. Skin Graft (Transplantation) shows a soldier in a hospital bed, awaiting surgery to re-attach his nose and put his face back together. This is the dilemma facing the world in 1918: modern technology has literally broken this man apart; modern technology will also attempt to fix him. This was a difficult bargain to live with, so perhaps it’s no surprise that the chaos and destruction of the war (seen here etched on the body but also having taken its toll on the land and on the psyche of Europe), led to a desire for solidity and security. In this context, looking back to the distant past was reassuring. But artists had to reach way back. The art movements which had been in vogue before the war (such as Cubism, Expressionism and going a bit further back, even Impressionism) seemed too ephemeral, dealing with fragmented reality and moments in time. There was a renewed desire to show stable “things” (like figures, and still life objects) rather than abstract ideas. Figures were depicted as idealized beauties, harking back to those seen in Classical (ancient Greek and Roman) statues: physically perfect, muscular, almost hairless (the better to showcase each muscle), young. Whole.This was a far cry from the scars visible in the real world of 1918. The show called this the desire for “a more durable self”, a nice turn of phrase. 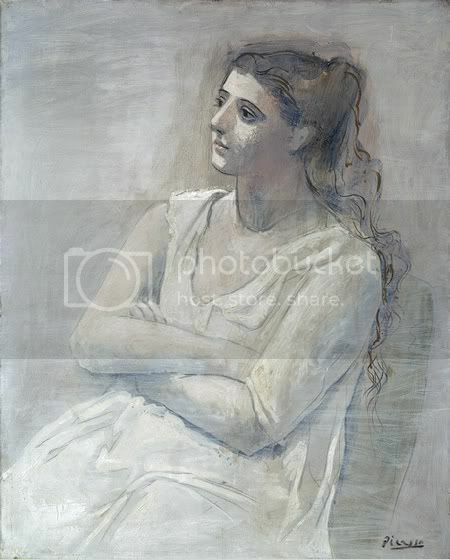 You can see the shift clearly in Picasso for example, as he moved from Cubism with its pointy edges and shifting perspectives, to this solid, simple, Classical beauty. Other Cubists like Fernand Léger also couldn’t resist the turn back to Classical, sculptural figures: he nods to Greek architecture here not only with the vase shaped like a Greek column but the figure itself: her solidity, rigid posture, even the pleats of her dress are reminiscent of a column with flutes. But there is a clear updating of the figure as well: she is stylized and sleek for the machine age, with a breast like a cannonball and fingers like pistons. The return to Classical aesthetics was reflected not only in painting and sculpture, but in dance, furniture design, photography, fashion, film, and architecture. Note the scrolled arms of the sofa, like the capitals of an Ionic Greek column as well as the gauzy white dress, so similar to what the goddesses of Greek statuary wore. Which brings me to a particularly arresting point of the exhibition–how the desire for more stability in the years after WWI, reflected in the art of this time, led to increased nationalism in the arts, even to the point of propaganda as political leaders began to use the arts to advance their own causes. The exhibition shows how the Classical aesthetics were reconstituted for the purpose of the Fascist and Nazi regimes, taking on a new life in service of their agendas. Artists who did not adhere to the program were in trouble. The Germans even had a name for this–Degenerate Art–and a method of dealing with it, but that’s for another post. 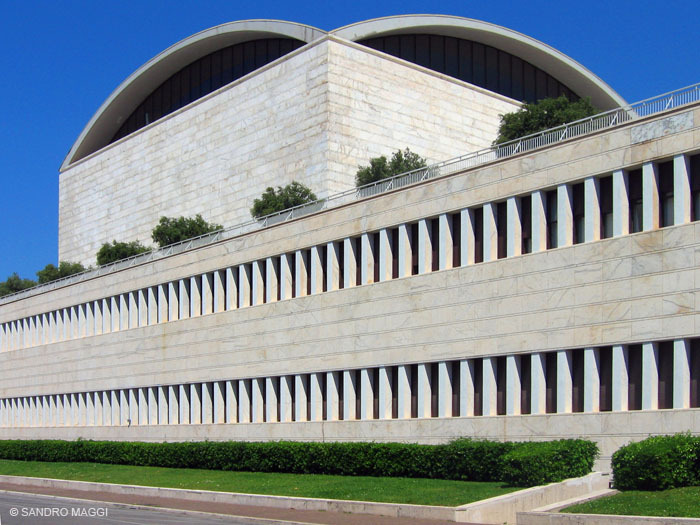 Architecture provides an illustrative example, especially in Italy where Mussolini actively worked to redesign Rome in order to put his visual and ideological stamp on it. It’s possible there, and in Sicily, to compare examples of Classical architecture with nearby Fascist buildings, and to see the common lineage, while also identifying the differences in style and agenda. Even though Classical Greek art and architecture can be massive in size, they were always developed on a human scale using a strict proportion that governed height to width. The Greeks, and the Romans who copied them, endeavored to always make their architecture accessible to the eye and human frame (the Parthenon was designed to house a large statue of Athena so always had the human body in mind from its inception). The Greek aesthetic was to inspire awe through beauty. Decorative touches such as friezes and statuary placed above and within the architecture were designed to enliven the structures, and further delight the human eye. In contrast, the architecture developed under Mussolini shows no grace, no sign of a human touch, such as a tapering of a column or a decorative capital at the top of a column. This human element was removed from governmental architecture in particular in order to signify the absolute strength of the government. Buildings take on a massive, dehumanizing, impersonal look which dwarfs the individual. Mussolini’s architecture program was especially active in the south of Rome, in a neighborhood now called EUR and in Palermo, Sicily. I’ve visited both, and the contrast between these buildings and others based on the Classical (the Colosseum, the Pantheon, temples at Greek sites such as Agrigento and Siracusa in Sicily–not to mention Greek ruins on Greek soil) is marked. There is no detail where the eye may linger, seemingly no room for a human body. The sense that the individual is alone against a monolith is overwhelming. It looks and feels cold and unfriendly and alone. While we’re talking about ancient Greece and architecture, let’s pause to mention my current surroundings. I’ve already mentioned that the exhibition had struck a chord with me in the way it was able to illuminate history and the connection between art and historical events. Coincidentally, I was summoned for jury duty and found the message driven home in an even more thorough way. 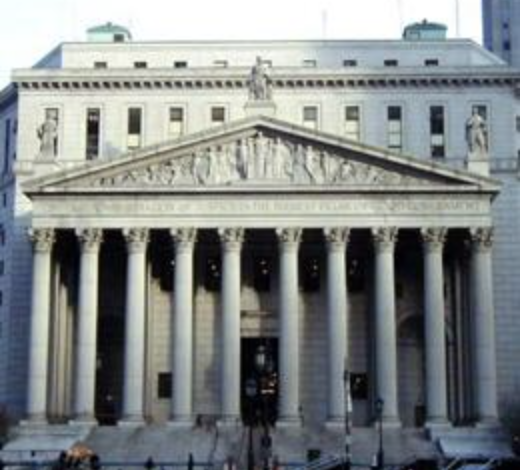 NYC, Supreme Court Building, 60 Centre St.
I’m writing this as I sit in the jury pool room at 111 Centre Street, where Classical Greece, nationalism, and my present day experiences have all intersected. References to ancient Greece have been the order of the day here at the courthouse. An orientation film shown in the morning mentioned Aristotle several times, and lovingly lingered over images of courtroom decor, featuring paintings of figures copied from Greek vases. I look out the window and see elements of Classical architecture in Lower Manhattan: white stone buildings with friezes along the tops, Doric, Ionic, and Corinthian columns, rooftop statuary with flowing robes (does it sound like the Acropolis yet? ), arches and rotundas–all harking back to the Classical aesthetic of Greece and Rome. All communicating the lofty ideals of Order, Reason and Law. In this part of town, dominated by court buildings and police headquarters, it makes sense that the architecture would also be deployed in the service of encouraging law and order. I’ll be the first one to say that the references to ancient Greece in the film were ennobling and tapped into a sense of undeniable patriotism and duty within me (as they were certainly designed to do). Yet, there is also more than a tinge of nationalism on display: in the orientation film, past jury members (real or actors, I don’t know) pose in front of the same architecture I can see out the window, and praise a sense of patriotism inherent in the legal process, and the ennobling of spirit that comes from performing one’s duty in a society bound by the rule of law. One woman comes out and says what others have only implied: “America has the best system in the world”. Over at 60 Centre Street, where I was brought into another jury pool, the building’s interior and exterior echoed even more dramatically the Classical aesthetics. In addition to the columns inside and out and other elements of Classical architecture, there is more Classically-inspired artwork on display inside. (Even the minor wall decorations feature acanthus leaves, which were prominent in Classical artwork). The walls of the jury room on the fourth floor are filled with painted canvases glued to the wall to seem like ancient frescoes. The paintings are of historical scenes of clipper ships in New York’s harbor, horse-drawn carriages on the city’s streets, a map of New Amsterdam (as New York City was once called), the building of the Brooklyn Bridge, and a street scene with citizens in tri-corner hats in front of Federal Hall with its Classical columns and pediment. These are attempts to idealize the past and make it relevant to the current day in order to encourage civic engagement. Downstairs there is a rotunda ringed with Corinthian columns and capped with an elaborate and colorful ceiling fresco which draws together many figures from history. Included in the assembly are famous judges such as King Solomon, as well as an ancient Greek (identifiable by his white robes) and the Roman emperor Justinian. Pilgrims, and other identifiable Americans such as Washington and Lincoln are also included in the tableau, with a turkey and bald eagle painted on pedestals as though they were stone statues in the Greek style. The idea is to include Americans in a long line of great thinkers and doers, and by extension, to reach out to those with business in the court building (such as jurors like me) and include them too in this stately company. Again, to encourage lofty ideals and behavior such as civic engagement, all with a nationalistic tinge. 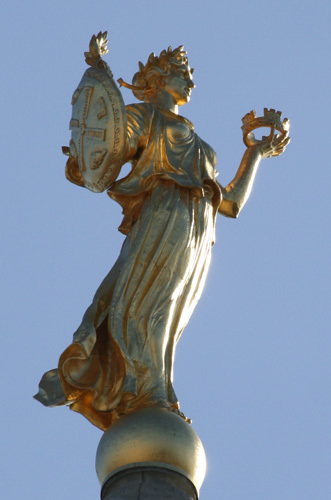 So my experiences in the court buildings show me that the turn back to the ancient past for purposes of inspiration still works today, and manages to support our own feelings of nationalistic pride and patriotism. As I mentioned, the ideas put forth in the Guggenheim show continue to percolate and prove themselves to still be relevant. Leaving architecture and returning to the fine arts, images of physical perfection shift during the strengthening of the Nazi and Fascist regimes during the 20’s and 30’s and become displays not just of strength and bodies in their prime, but displays of brute force. This was in keeping with the might of the dictatorships in Germany and Italy during this time, and a symbol of the gearing up for World War II. Men are often overly muscled, mask-like to the point of seeming dead inside, or faceless; figures are oversized. 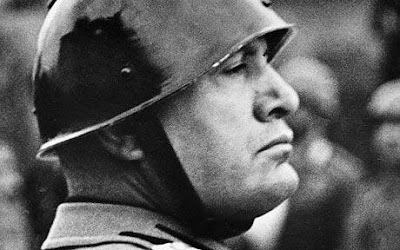 Take a look at this photo of Mussolini with his helmet, and then the sculpture of Mussolini called Profilo contino del Duce (Continuous profile of Mussolini), from 1933 by Renato Bertelli. 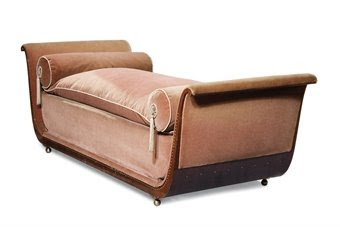 It is Classical and sleek, and may seem abstract but if you look at the edges, you’ll see it’s Mussolini’s profile, looking in every direction at once. This is symbolic not only of the speed of bullets, cars and machines, but also of his all-seeing, all-knowing nature as dictator. 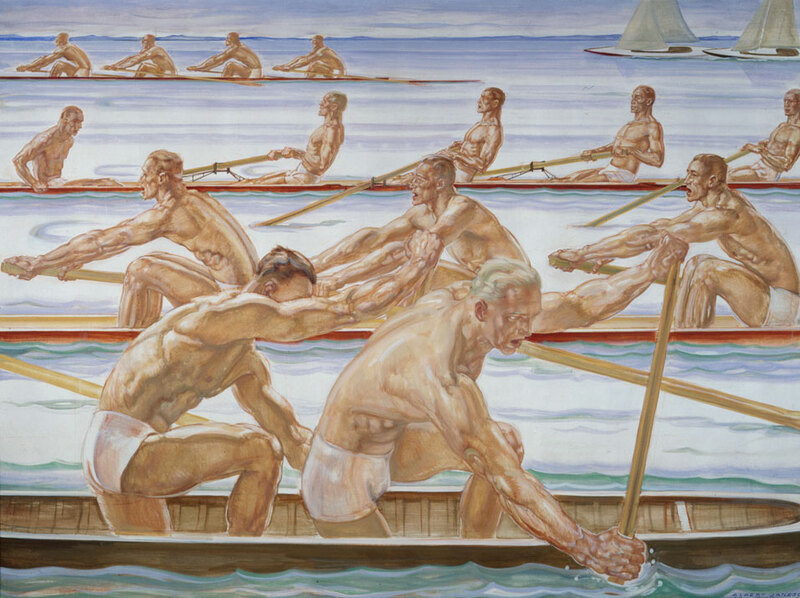 Take a look also at this painting of a German rowing team from 1936, the year of the Berlin Olympics, which was to be a showcase of German power on and off the athletic field. These men are almost grotesquely muscled, having taken the ideal of muscular Greek beauty to an extreme show of might. For me, the scariest–because it’s the most illustrative of the dark strength of Fascism–is the sculptural portrait of Mussolini called Il Duce (Condoltierro [Dux]). Made in 1929 of iron, it is a blend of bullet, phallus, and ancient military helmet all at once, combining multiple symbols of masculine strength but not a shred of humanity. As a symbol of darkness and cold power, this sculpture is also a direct ancestor of Darth Vader’s mask. Speeches, sanctioned biographies, and other writings reinforced the link between the Classical aesthetic and the Nazi or Fascist agenda. 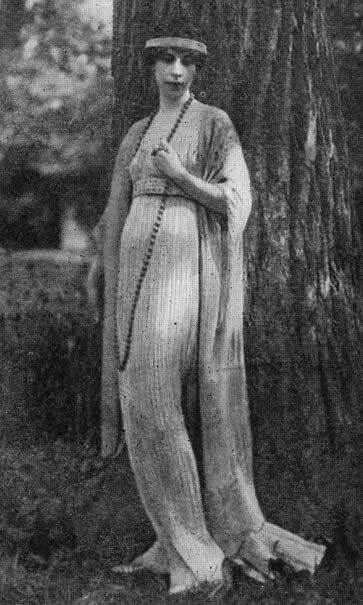 Mussolini’s mistress, Margherita Sarfatti, in her biography of Mussolini, wrote: “Originality and tradition are not contradictory terms. By returning to the purest traditions…one does not renounce the originality of modern times, but only polishes off the rust and purifies our art of imitative alloys”. In the context of what was to come in Europe, the word “purifies” makes my blood run cold. Hitler, similarly, directly linked ancient Greece to Germany in 1936: “Never was Mankind closer than now to Antiquity in its appearance and its sensibilities”. The exhibit ends with an excerpt from a film called, appropriately enough, Olympia. It was created by Leni Riefenstahl, famous Nazi film director, using footage from the Acropolis in Greece as well as the Berlin Olympic games in 1936. Over the course of the film clip, haunting but impressive sequences of the Parthenon morph into Greek statuary, with their beautiful faces and pale marble skin. The wall text just outside the screening room, which quoted Hitler as (almost laughably) calling the Greeks “Nordic” and attempting to link them physically and genealogically to the Germans, almost floated in front of me as I watched the camera lovingly caress these pale, perfect faces. Eventually, on film, the statue of a Greek discuss thrower morphs seamlessly into a German athlete in the same coiled crouch, the same cocked arm, the same muscled form. The German then spins, in slow motion, and releases the discus into the sky. It’s stunning to see this propaganda draw a direct genealogical line from ancient Greece to Nazism, in just a few images. Those were Hitler’s Olympics, the first time his ambition for Germany (along with his disdain for “non-Aryan” athletes such as Jesse Owens) was unveiled to the world. This show is on view until January. While this period of artistic development has never been a personal favorite of mine, as a history lesson, it’s priceless. I guarantee it will keep working on you for days. In honor of National Coming Out Day today, I want to tell you a story about my dear friend and pen pal, Loraine Barr. I first became aware of Loraine via a 2007 essay she wrote for Newsweek magazine called The Love That Will Finally Speak Its Name. The essay was charming and blunt and heartrending and hopeful. Loraine described her early dating life (men, though reluctantly), her awakening to her lesbianism in college, her first love, how she was compelled by law and custom to keep this part of herself secret from her family and friends. Mindful that gay people could be fired from their jobs, and also having felt the sting from close friends who preferred not to know the truth about her and her “roommate”, she and her partner of 44 years never said a word about their relationship. They even kept separate bedrooms for show. Can you imagine? When my parents celebrated their 40th wedding anniversary last year, family members flew across the country to be there. Speeches were made. Strangers congratulated them. And Loraine and her dear Mary were in hiding for 44 years. I find that terribly sad. Finally, after almost nine years since my beloved partner’s death, I am able to do what I could never have braved in earlier years: present myself herewith to the world as a lesbian, along with all the women who ask to be judged by the full facet of our characters. Why am I now able to speak the unspoken? A friend at the retirement community where I live recently came out in the local and national newspapers. When I saw her do that, I thought, for heaven’s sake, nobody can fire me, I’m 88 years old, my parents are gone. Loraine’s essay shook me. She had put her finger on thoughts and feelings and fears that are so universal. I cried, then I tore the article out of the magazine and put it away. Periodically, I would re-read it, cry again, and put it back. Finally, after two and a half years of this, I decided to look Loraine up, to let her know how much her article had moved me. I wrote her a short note of appreciation, thanked her for her courage, and shared some of the things we had in common–most notably that I too had “the most loved and loving, giving, understanding and delightful partner imaginable”. Imagine the thrill when Loraine wrote back! We’ve been corresponding now for some months, and she even mailed me a DVD of a wonderful documentary that was made about her. It’s called 88 Years in the Closet and was included in quite a few film festivals, won an award for Best Documentary, and aired on PBS. As you can see from the trailer, Loraine is a delight! And her story is powerful. Today, please read Loraine’s article and watch her movie to judge for yourself how far we’ve come. And please also think of our LGBT youth who have struggled with this decision and its aftermath–especially those in recent days who have been tormented and bullied to death. I do believe there is strength in numbers. Happy National Coming Out Day. 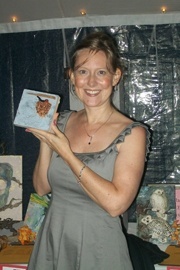 If you’d like to order a copy of Loraine’s story, the filmmakers can be reached at www.yourstoryherehome.com.